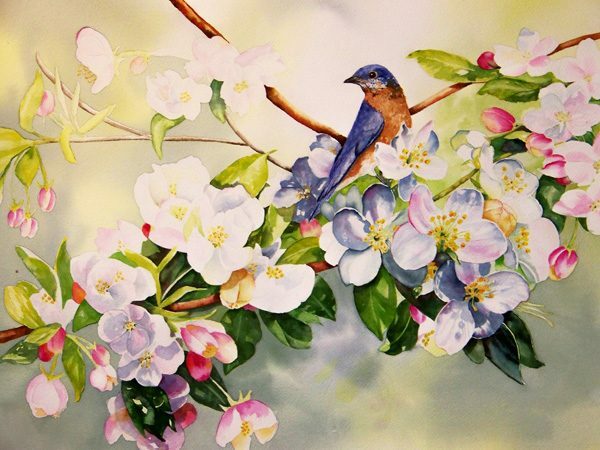 Elaine’s passion is WaterColor – the spontaneity of it is pure fascination; although she does do some mixed media. 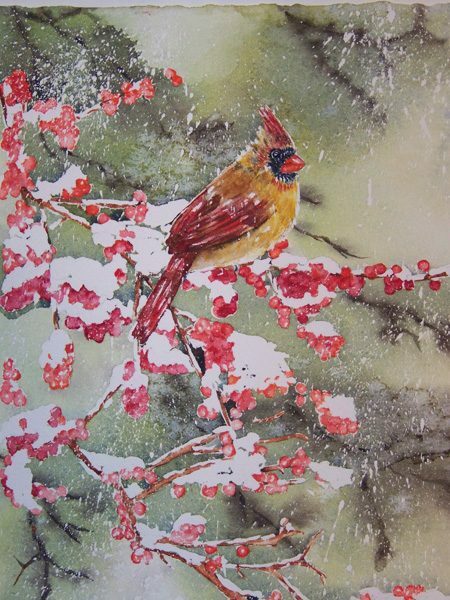 Her work is impressionist realism; her love of nature is expressed in her art; flora, birds, trees, rocks, landscapes. Elaine paints intuitively; most pieces begin with a drawing lightly sketched onto watercolor paper; but, once the paintbrush touches the paper, the painting intuitively takes on a life of its own. 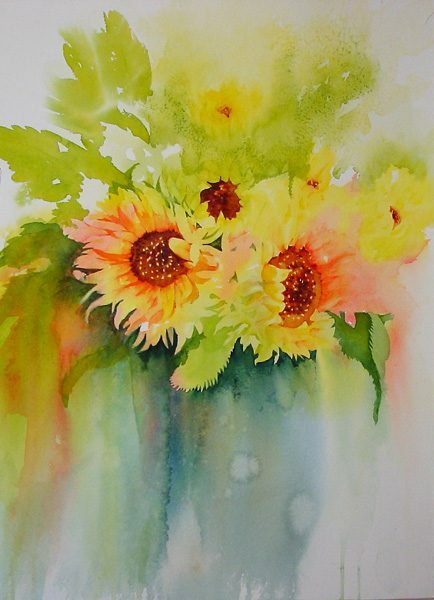 Elaine studied watercolor at Atelier Studio in Germantown, Tn under nationally recognized Fred Rawlinson for six years. In 2005, Elaine retired from her business career; she and her husband relocated to Northeast Alabama and started a studio in her home. Elaine and her husband reside on the Southern end of Lookout Mt in Cherokee County, Al. With over 6 acres on the bluff covered with flower gardens and woodland trails, scenic views of Weiss Lake and the beginning of the Appalachian Mts, Elaine has an endless supply of inspiration; a simple walk replenishes and renews the creative senses. 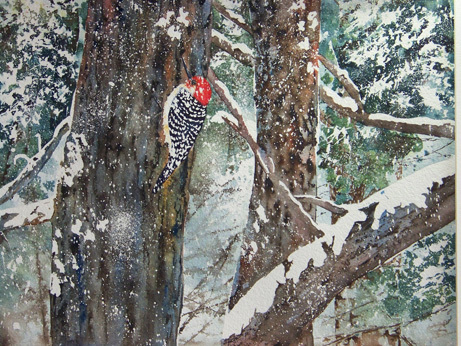 Elaine’s award winning paintings have been exhibited in National and Regional Juried Shows; she is a Signature Member of Watercolor Society of Alabama, Star Artist Member of Memphis Germantown Art League, Mentone Art Association, Cherokee County Historical Museum. Elaine’s painting “Enchanted Madame’ was the cover art for the Poetry Quarterly Magazine “Art With Words”. 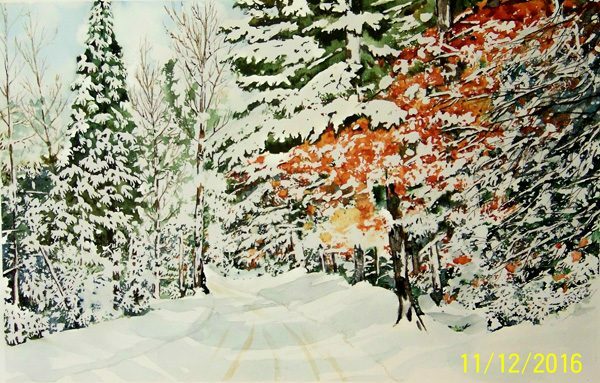 “Winter in the Mountains” won 1st Place at the Gadsden Art Association’s 53 Annual Exhibition and “SunKissed” won 1st Place at the Gadsden Art Association’s 2017 Annual Exhibition. Elaine has won various awards in MGAL in Tn and with WSA. 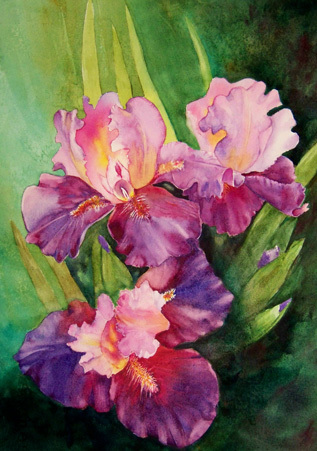 Elaine is presently exhibited at Katherine’s Gallery and Frame Shop, in Fort Payne, Al and at the Wildflower Café, Mentone Al. 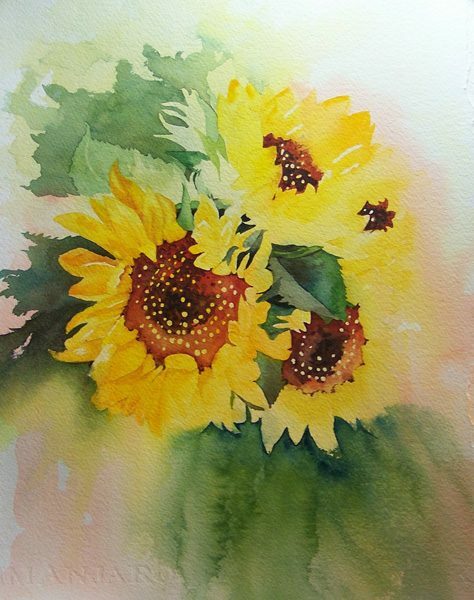 As a way of ‘giving back’, Elaine conducts a free watercolor class at the Cherokee County Public Library. Please visit my website www.watercolorartbyelaine.com to view more of my work.